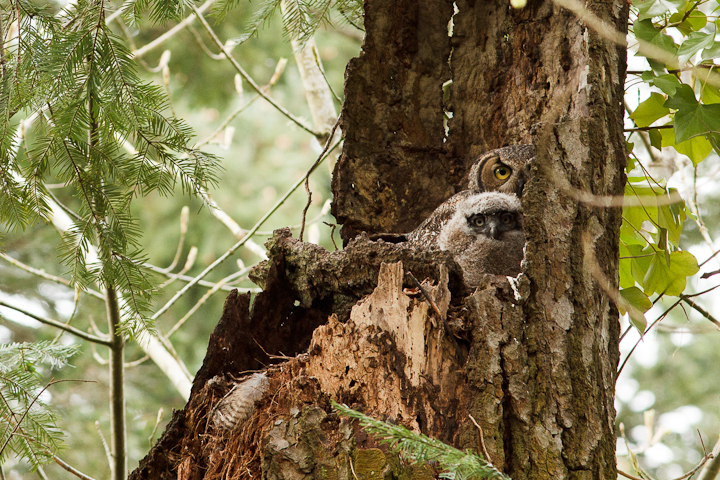 I went back to photograph the Great Horned owl nest yesterday, and it was much like many bird nests I have taken shots at. Somewhat boring, with brief moments of excitement. 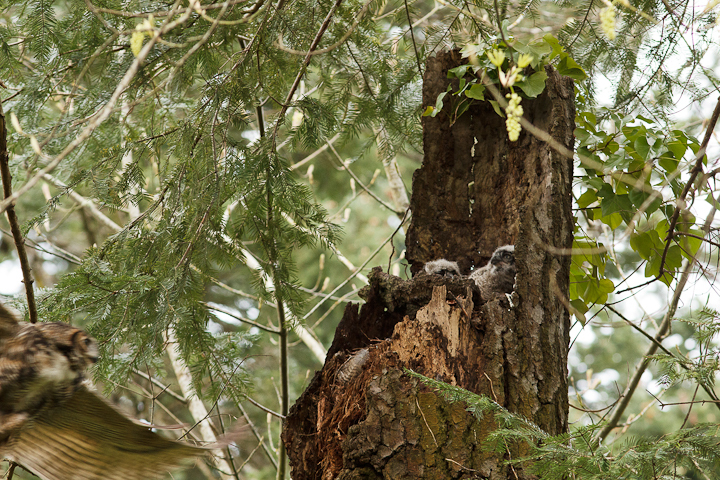 The shoot started with the two chicks taking a nap, with brief stretching and alert periods. 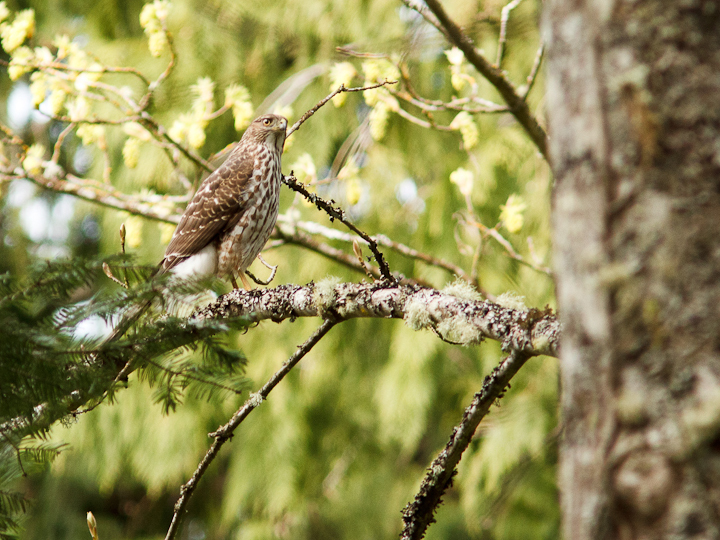 Things got interesting when this Cooper’s Hawk showed up…I thought the adults were asleep, but the one perched above my head gave chase. Danger averted! 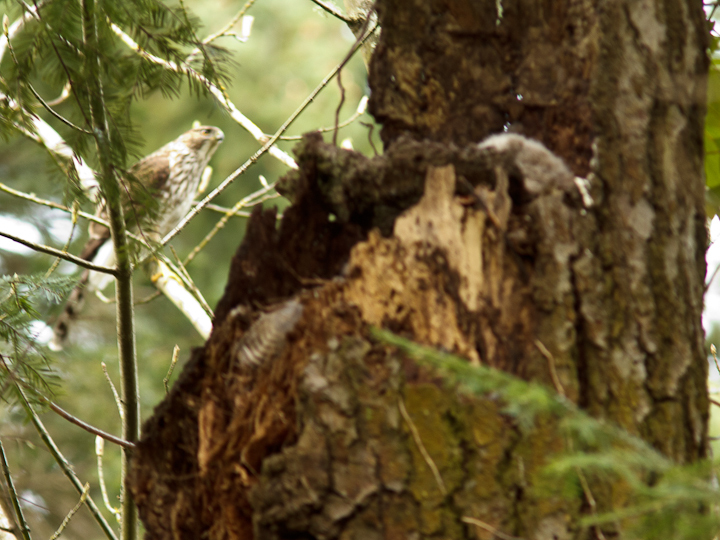 Here is the hawk watching from a distance. 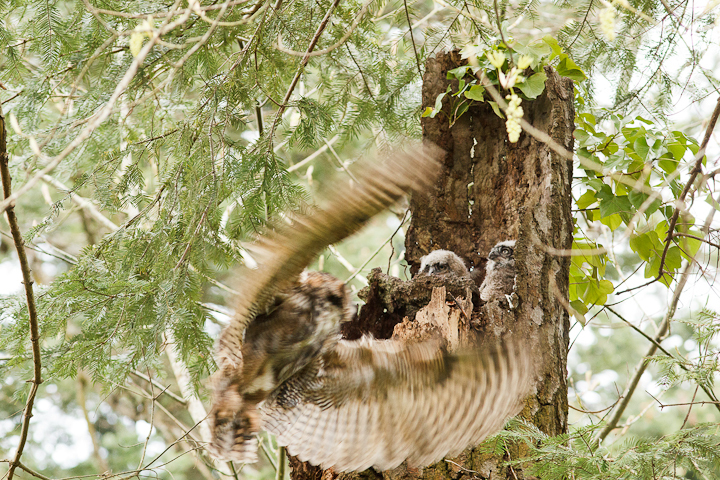 This was my attempt to get the landing of an adult on the nest… Not too easy in the low light! The chicks look interested though. Here is the adult scoping out a dog and walker. 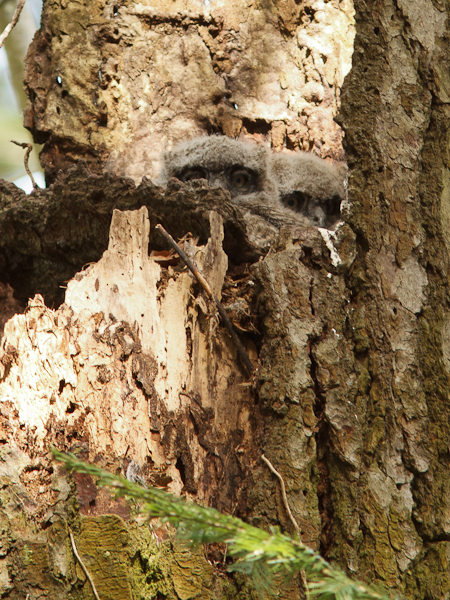 The adult actually managed to squeeze in there! 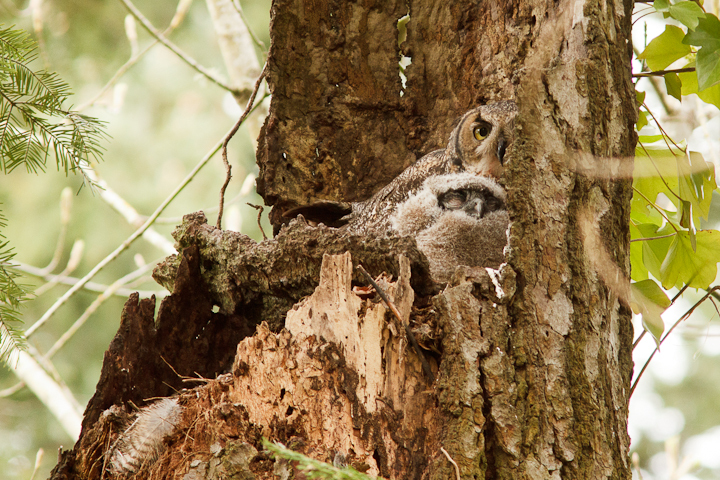 A comfy chick cuddles up to its alert parent. 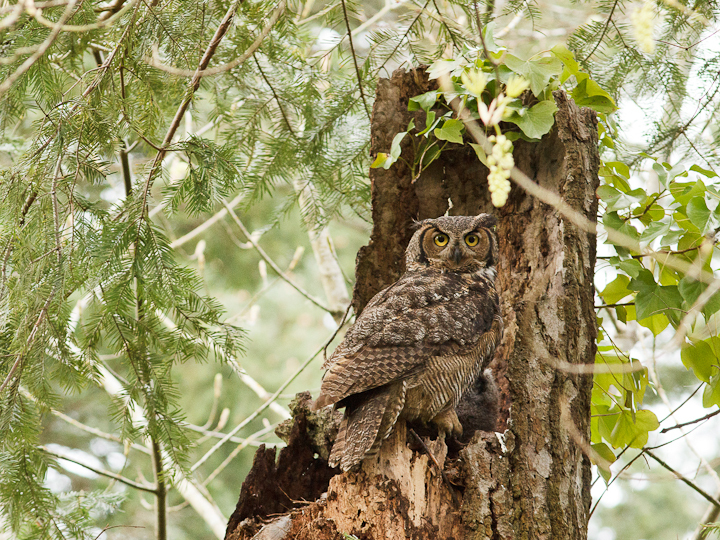 For more owl goodness, check out this video below. 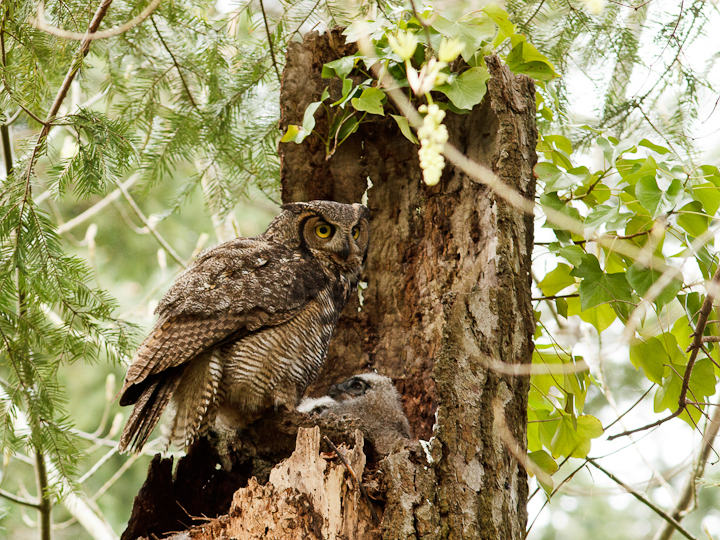 ← Weekend Expedition 45: Nesting Great Horned Owls!